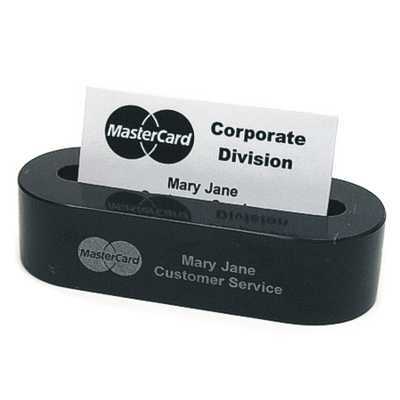 This Black Marble Oval Business Card Holder is crafted from high quality jet black marble and is a beautiful and elegant addition to any desk-top. Wonderful for company logos or personal names, laser engraving reveals a crisp frosty white tone for excellent detail and contrast. A prestigious gift for the entrepreneur in your life . 5-1/8" x 2" x 1-1/4"